Take a bite out of competition with our alligator stress balls. 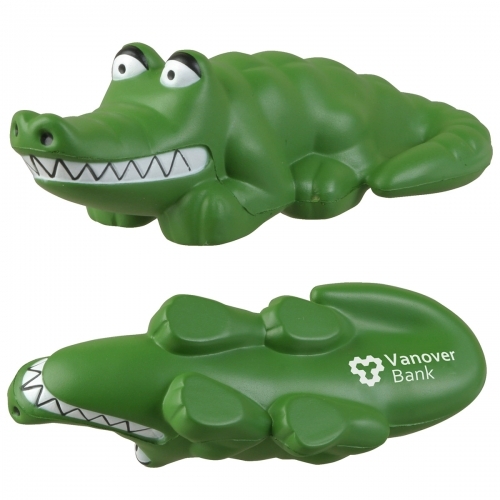 Customized with your company name, this alligator stress ball will help to relieve your customer's discomfort and anxiety. Don't get caught in a swamp. Show your clients you have four legs, a long tail and you are ready to roll! Alligator stress balls could be used to promote universities with a gator theme, sports, nature parks to name a few. Item Size : 5" x 2-1/2" x 2"